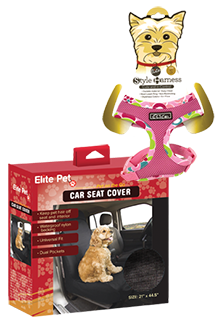 Our line of Pet Accessories will make traveling with your pet easier. We have buckles, nets, charms, blankets, harnesses, seat covers, and more. Check them out now! We have the lowest prices in the nation~GUARANTEED!